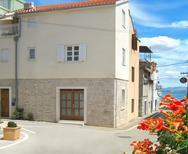 ​Dalmatia | Holiday homes of natural stone lend a special rustic charm to your vacation in the sunny south of Croatia. 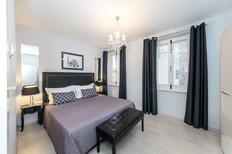 Apartment for two people in the heart of the city. Dubrovnik | Discover one of the most beautiful cities in the Mediterranean with an apartment in the old historic quarter. 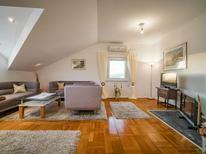 You’ll find this apartment for five people near Marušici. 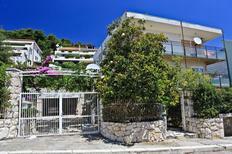 Pool villa for up to eight people, not far from Trogir. Croatian Adriatic coast | The Croatian coast encompasses several thousand kilometres in length. The right beach for you will certainly be there! You’ll be near the sea with these properties. 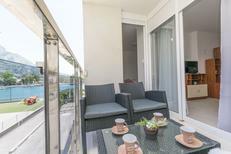 Secluded holiday home for two people on Hvar. 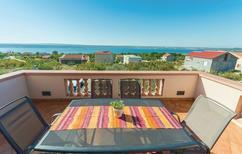 Idyllic furnished holiday house in Istria with space for 10 people and own pool. Plitvice Lakes | Here awaits you one of the most beautiful and untouched lake sceneries in Europe. Live in the heart of Plitvice Lakes National Park and explore this unique nature spectacle. Adriatic coast | Off to the beach! Dalmatia, located in Croatia, is on the eastern coast of Adriatic Sea. Characterized by its rugged coastline, numerous coves, and multitude of wooded islands, Dalmatia is well known for its warm but windy sea – perfect for swimmers and sailors alike. Vacationing in a holiday home in Dalmatia is a great way to spend time enjoying the various beaches and participating in water sports such as kayaking, diving, and yachting. Dalmatia, which spans just 50km at its widest part, offers plenty of attractive holiday resorts spread throughout its coastal towns. Staying in an apartment in Dalmatia is a great way to explore gorgeous medieval towns such as Sibenik, Trogir, Dubrovnik, Zadar, and Split. Visit the Museum of Croatian Archaeological Monuments in Split to discover cultural artefacts of the Croats from the Middle Ages. You can also reserve your tickets for a show at the Croatian National Theatre in Split, one of the oldest but fully restored theatres in Dalmatia. Book your holiday rental for an unforgettable summer vacation, a season when art, food, and music overflow the streets, galleries and theatres of Dalmatia. The more adventurous types can look forward to a pure adrenalin shot with a climb up Dinara, the highest Croatian mountain. For the more relaxed types, a camping trip in Dinara's lush meadows and pastures, such as Brezovac and Duler, is a lovely way to spend time. If you visit in early October, make sure to watch the Mrduja Regatta, one of the oldest sailing races in Europe. 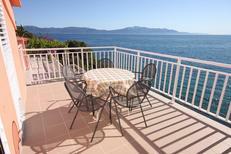 TUIvillas.com is a trustworthy online platform for renting a holiday home in Dalmatia. It maintains high standards of quality and provides service to both private and local agencies. 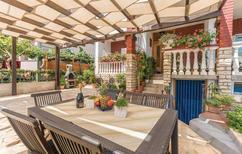 In addition to premium holiday houses with private pools, TUIvillas.com also offers affordable holiday rentals.